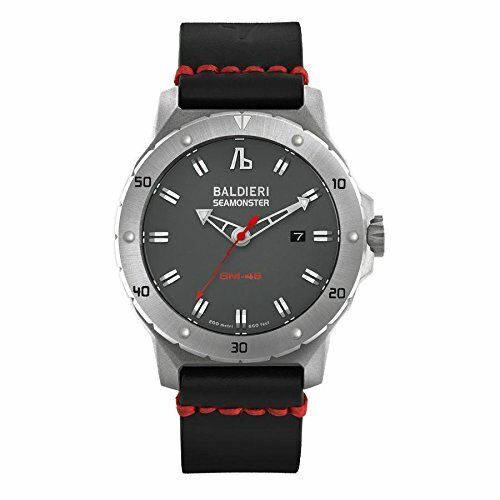 The latest addition to the Seamonster saga from Alessandro Baldieri has got to be one of the most beautiful watches Alessandro has designed. 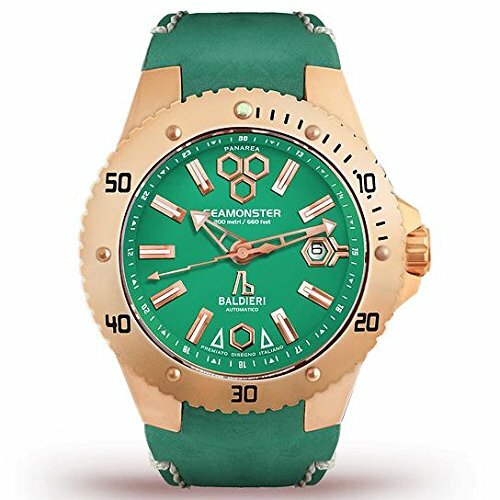 The Panarea is named after an exclusive yet understated small Island off the coast of Italy and this limited edition watch is truly an exclusive time-piece. 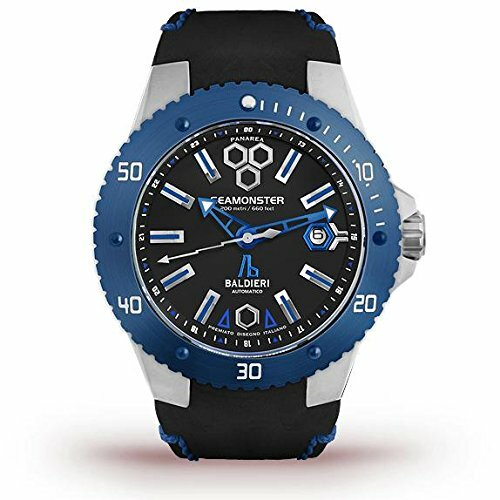 With only 300 pieces made world-wide, the Alessandro Baldieri Panarea watch with blue rotational divers bezel and water resistance up to 200 metres is a great luxury gift for any man. 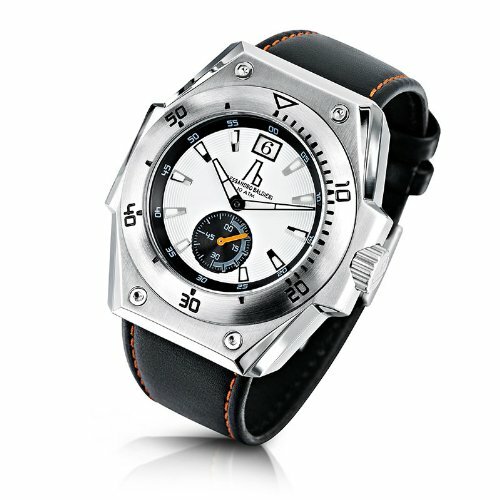 Powered by an Automatic movement, which means there is no battery to power it. 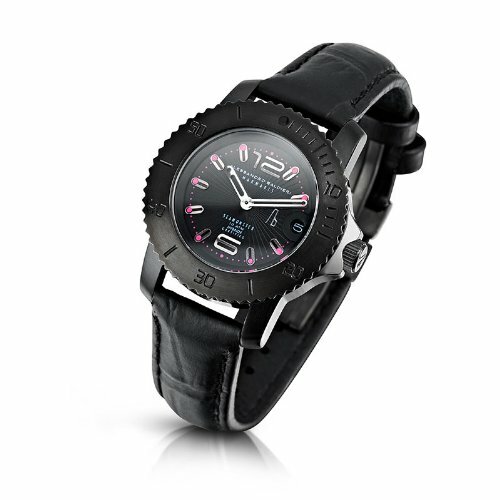 It is a self winding watch that is powered by kinetic energy (the movement of the watch when it is worn) and will stop if not worn for 48 hours. Case Size : 46 mm Case Material : 316L Stainless Steel Case Back : Stainless Steel Six Screws Dial : Suede Super Matte Applied Index Hands : Luminous Water Resistance : 200 Meters Bazel : Rotating 120 Click Glass : Saphire Flat Lens Movement : IT3HD Officine Baldieri 25 Jewels Strap : Hand made Italian Nobuk Leather Buckle : Stainless Steel Sand Blasted Weight : 160 Grams Packaging : Eco Leather Pouch Warranty : 2 Years We are unable to send Alessandro Baldieri watches to Asia. Contact info@alessandrobaldieri. com if you live in Asia and wish to purchase one of these exclusive time-pieces.